Veronica Tejada Lacayo Attorney Profile|Tejada Lacayo, P.A. “Jurisdictional Discovery: The First Major Battle Between the Plaintiff and a Foreign Defendant” International Law Quarterly, Vol. XIII, No. 3, The Florida Bar. “Do it Like they Do it, but Better: The Art of Negotiating Entertainment Contracts with the Chinese” International Law Quarterly, Vol. XXV, No. 2, The Florida Bar. “Enjoining Parallel Proceedings in Foreign Jurisdictions” International Articles, Summer 2012, International Committee of the Litigation Section of the American Bar Association. Contributing author to Russell Dumbrow, Nancy A. Matos, ABA Guide to International Bar Admissions (2012). 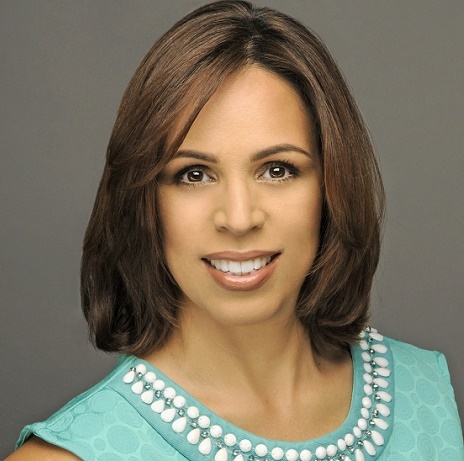 Veronica Tejada Lacayo has successfully been representing her clients’ best interests for over a decade. She has litigated an array of disputes ranging from breach of contract cases, shareholder disputes and business torts in the nature of actions for fraud, civil theft, misappropriation of trade secrets, fraudulent transfers and unfair trade practices cases. Ms. Tejada Lacayo has also represented clients in commercial foreclosures and appeals in federal and state courts. In the international arena she has represented foreign individuals and companies in international business disputes pending in state and federal courts in the United States and before the International Centre for Dispute Resolution. Ms. Tejada Lacayo’s years of litigating diverse contracts have given her the tools and experience necessary to draft and negotiate several kinds of agreements. She knows what cases generally end in litigation and therefore uses a preventive approach when drafting those agreements for her clients. Ms. Tejada Lacayo is also a certified Circuit Civil Mediator who enjoys helping parties reach mutually agreed solutions to their problems. Ms. Tejada Lacayo’s ability to relate to her clients and to capture the important details in any matter have given her the skills to represent them in an effective and cost efficient manner. Ms. Tejada Lacayo founded Tejada Lacayo, P.A. to better serve her clients. Through her practice she seeks to leverage the resources needed to be successful with the simplicity and cost efficiencies that only small firms can provide to their clients. © 2017 Tejada Lacayo, P.A. All rights reserved. Tejada Lacayo, P.A. is responsible for the content of this website and is licensed to practice law in Florida. Office in Miami-Dade County, Florida. This website has been prepared for informational purposes only and does not constitute legal advice. The information is not provided in the course of an attorney-client relationship and is not intended to substitute for legal advice from an attorney. The information contained in this website is provided only as general information, which may or may not reflect the most current legal developments. All content on this site belongs to Tejada Lacayo, P.A. and may not be reproduced, transmitted or used without the express permission of the owner.